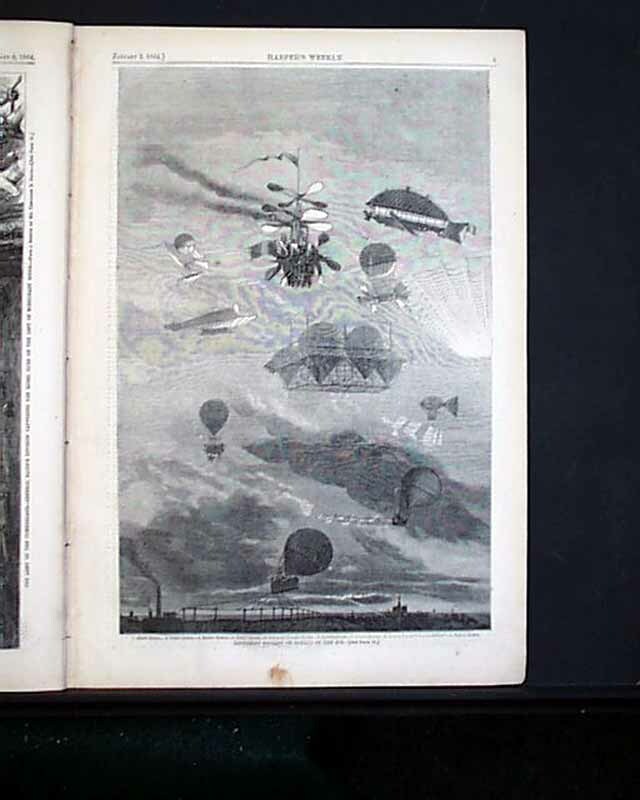 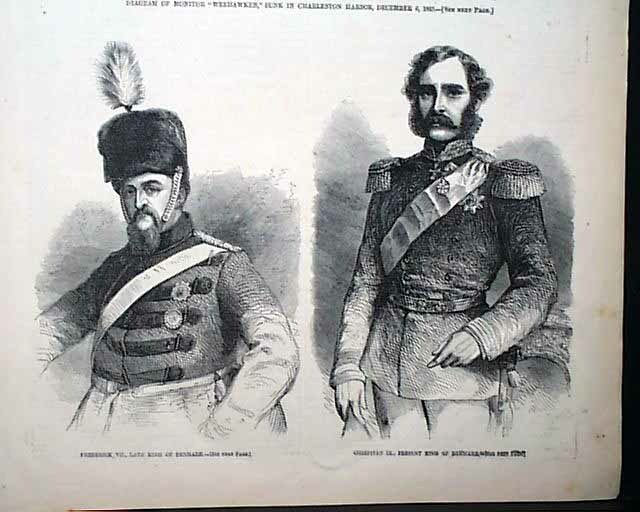 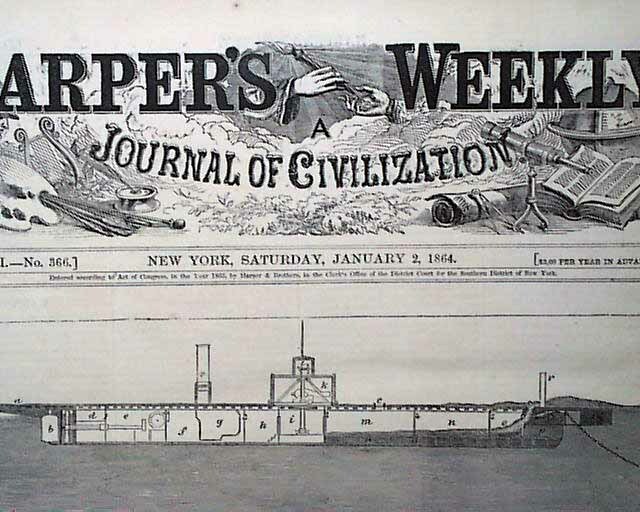 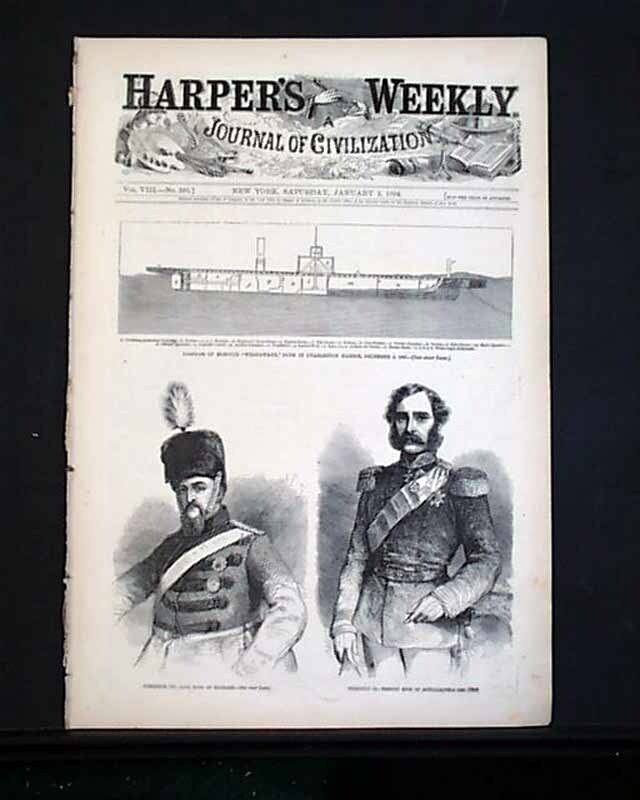 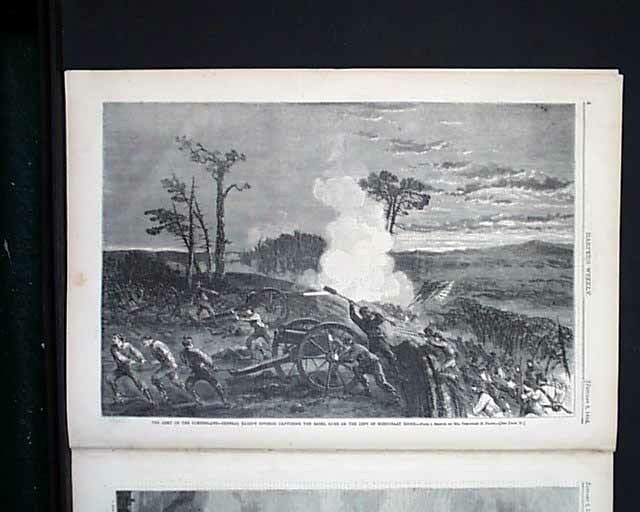 Inside has full page prints captioned: "The Army of the Cumberland--General Baird's Division Capturing the Rebel Guns on the Left of Missionary Ridge" and also: "Different Systems of Sailing In The Air" shows some interesting (and laughable) lighter-than-air ships. 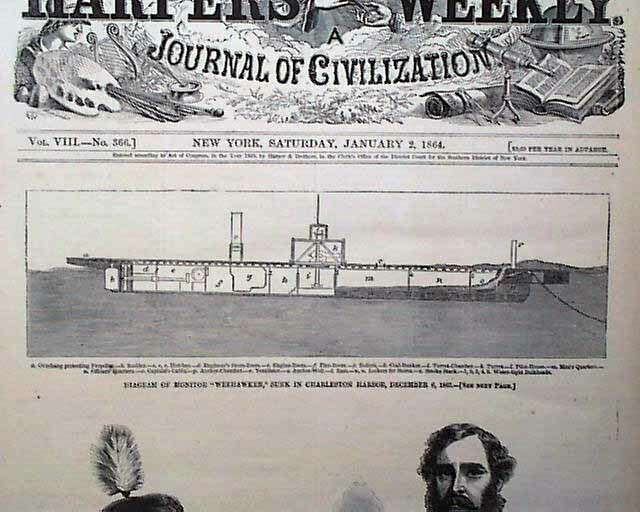 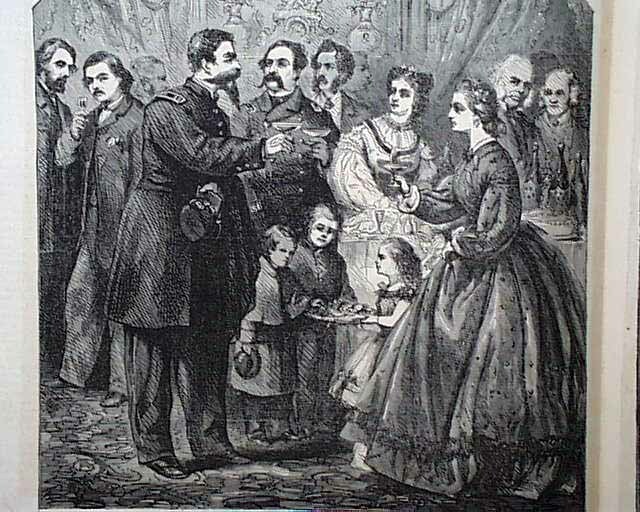 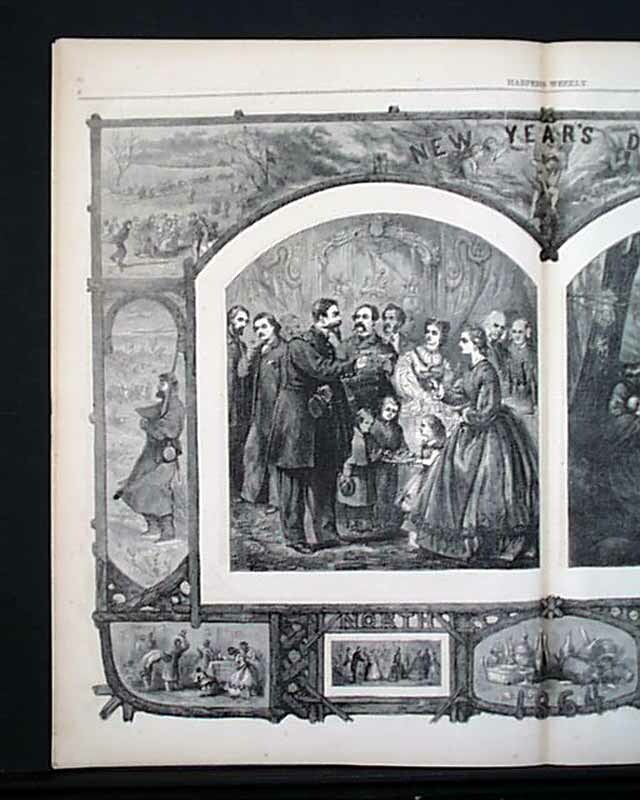 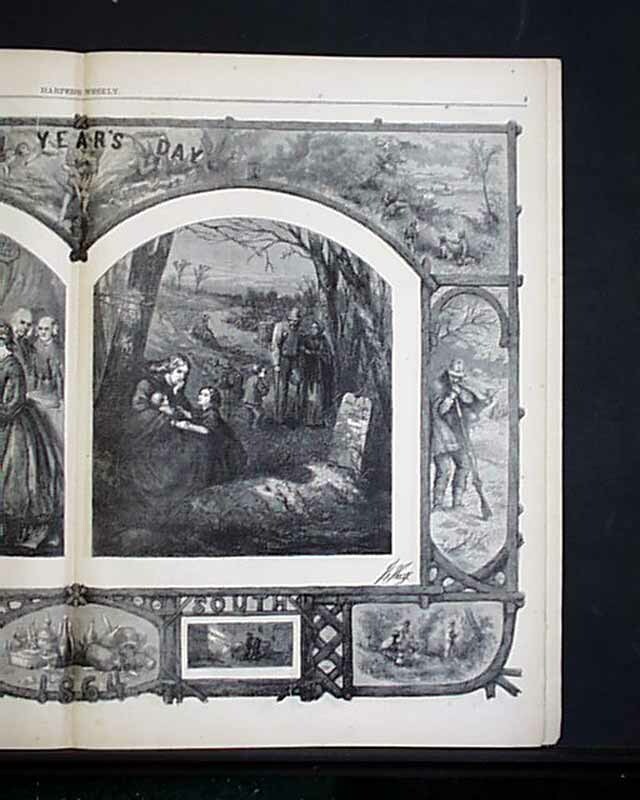 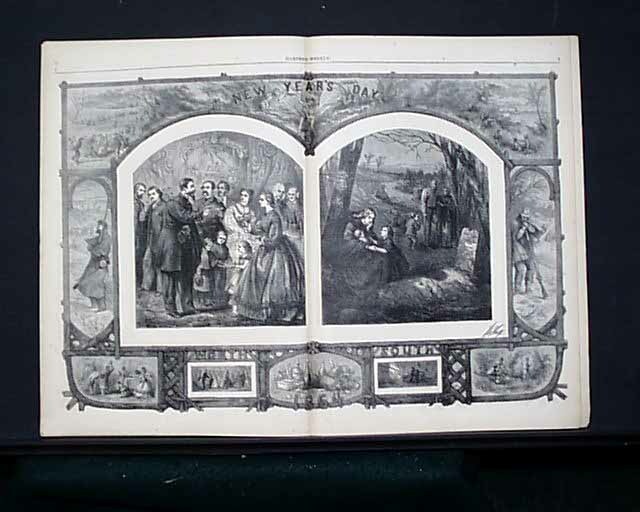 The doublepage centerfold is a very nice Thomas Nast print: "New Year's Day" which includes 12 vignettes, most relating to the Civil War. 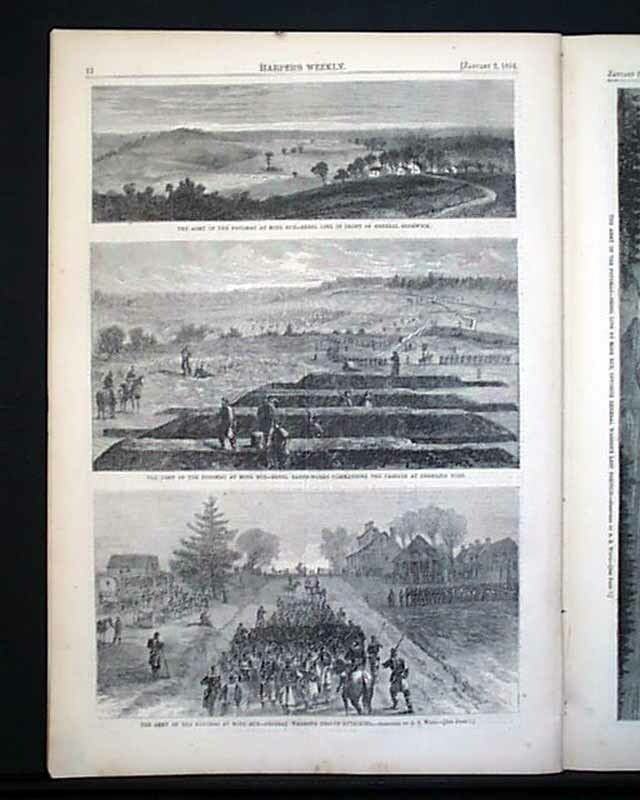 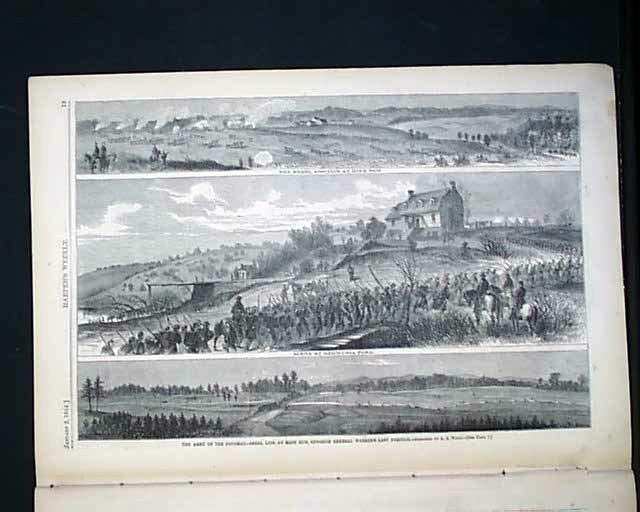 Also inside are prints: "The Army of the Potomac at Mine Run--Rebel Line in Front of General Sedgwick" & "....Rebel Earth-works Commanding the Passage at Germania Ford" & "...General Warren's Troops Attacking" & "Rebel Line at Mine run, Opposite General Warren's Last Position" & "Scene at Germania Ford" & "The Rebel Position at Mine Run"
The back page has a political cartoon: "Angel of Peace".